April Birthdays: Billie Holiday, Bette Davis, Marlon Brando, Dusty Springfield, Maya Angelou, Ali MacGraw, Julie Christie, Russell Crowe, Emma Thompson, Heath Ledger, Claire Danes, Emma Watson. What do the stars have in store for you in April? Fabulous foreign shores beckon, as the New Moon (on April 5) activates your adventure zone. 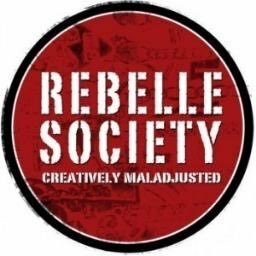 If you can’t escape on an exotic trip then go travelling in your mind via books, movies, music, delicious day-dreams and international friends. On April 10 Saturn trims your fiery wings, curbs your Cat creativity and stymies your natural Leo ebullience. The Universe is teaching you to be more patient and circumspect. If you heed this celestial message then the rest of April looks auspicious, as lucky Jupiter helps you blast off in a creative new direction. Love and loot are on your mind! The New Moon (on April 5) and Venus revitalize your relationship zones. So it’s the perfect month to road-test a new lover, revive a flagging affair, reboot a rickety marriage or finally summon the courage to walk out the door. Then the Full Blue Moon (on April 19) brings up issues involving finances, values and self-esteem. You’ll find the less you base your core self-worth on money, status, image, physical appearance and unrealistic media expectations of what beauty is, the healthier and happier you’ll be. 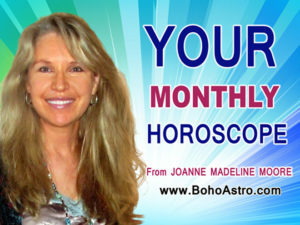 You can also read Joanne’s free Daily, Weekly and Yearly Horoscopes! Scorpio is a sign of extremes. You pursue something (or someone) with passionate purpose and dogged determination or you’re just not interested at all. This month take a long look at your daily diet and fitness levels, as the New Moon (on April 5) inspires you to eat healthier food and exercise like a pro. So get ready to commit to kale smoothies, chia puddings and Hot Yoga classes with the missionary zeal of a true believer. The Full Moon stirs up emotions around April 19, when an unresolved issue from the past is resurrected and rehashed. With Venus vamping through your sign (until April 20) you’ve got the power! Charm and confidence will take you places. Venus also makes a fantastic connection with your ruler Neptune so love, romance, creativity and compassion are all on the radar as you enjoy yourself to the max. Then the Sun and Jupiter boost career prospects and financial matters in mid-April, when a fortuitous opportunity heads in your direction. However, if you spend too much time procrastinating on your Piscean posterior, then Lady Luck will pass you by.